Handcrafted in Los Angeles, the Rion is the World's First High-Performance Carbon Fiber Electric Scooter. RION breaks new ground by bringing technological breakthroughs to the vast world of personal electric vehicles. This limited edition e-scooter delivers unparalleled performance that gives you a one-of-a-kind ride. Strong, faster, lighter and better. The vital components of performance riding are all perfectly fused and balanced into one seamless experience. Packed with a 5000W motor, the Rion has more power than 10 Inokim Quick 3s put together. 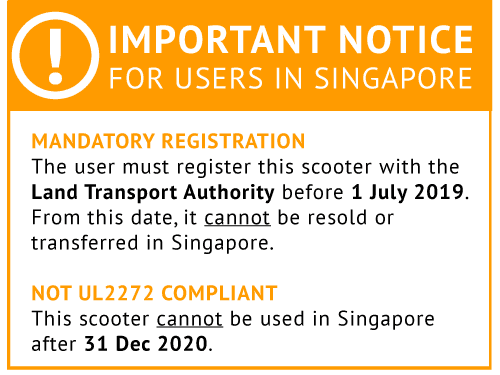 Unlike other high performance escooters, the Rion weights a mere 18kg, and is within the weight limit set by the Land Transport Authority of Singapore.